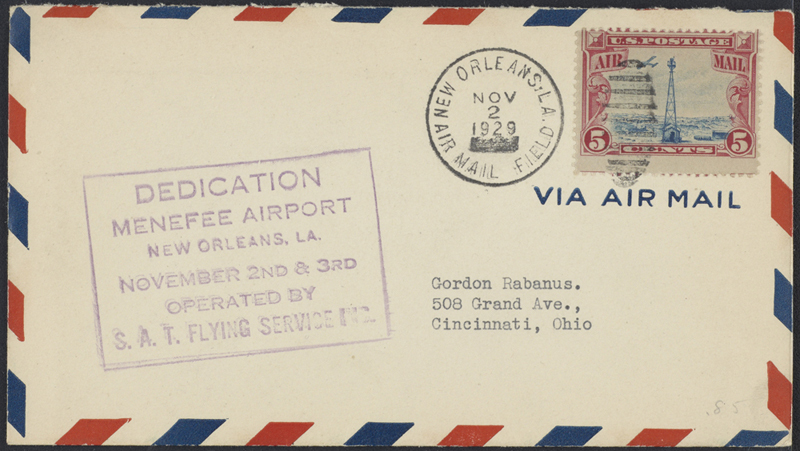 Title: Honoring the Dedication of Menefee Airport, November 2, 1929. Menefee Airport was Located in Chalmette, Louisiana. Honoring the dedication of Menefee Airport, November 2, 1929. 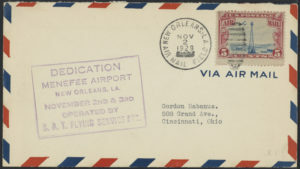 Menefee Airport was located in Chalmette, Louisiana.